We all lives an ordinary life under many pressures and expectations at different stages and in different situations in life. At times it becomes difficult to manage a situation and to come out of a problem unscratched and unbroken. This is a time when we look up to someone for inspiration. The one man who can give us the required courage and motivation, one who can lift our spirit. This can be a situation you have witnessed someone coming out so easily which inspired you so much that throughout your life you carry a positive attitude. Thus giving you a role model in your life whom you don't only follow but also preaches others what he does in your life. He inspires you to stand for the right whatever and whoever was standing in front of you. He tells that everything concludes positively and there is no single situation which can break your courage. When you feels lonely he is the one which make you understand that there is someone special waiting for you in this world. Nothing is powerful than love. Never leave your friends midway. Nothings matter more than your family. Talent and hard-work turns fortunes. These and many more things I have learnt from my role model and will continue to learn. 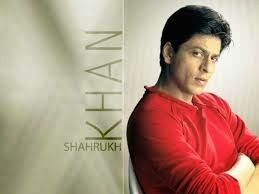 My role model is the king of Bollywood Mr Shahrukh Khan. Only while writing this post I realized how much I am inspired by him. Since my childhood I used to copy his actions ,his mannerism,his style. He was projected as a lover boy which makes him heartthrobs of millions of girls and for boys he is the ideal example of how a man should treat women. A role model is one which sets an example for people around him and change their perspectives and I think he never falls short of this definition. Characters portrayed by him never encouraged vulgarity on screen. Each role he played is inspiring,whether Raj of DDLJ who changed himself to get his love, Kabir of Chak De who give life to a dead team, Veer of Veer-Zara whose Indian values won heart of a Pakistani girl, Raj Aryan of Mohabbatein who stood for love against mighty Amitabh Bachchan, Rizwan Khan of MNIK giving message that don't mix religion with terrorism, the list is endless as each character of his was inspirational. One important think common to all these characters is the respect for girls which is lost somewhere in today's world. Rajkapoor as Raju became face of innocent youth of Independent India, Amitabh Bachchan became face of seventies as Vijay the angry young man showing angst against the system of that time while Shahrukh as Rahul was not a struggling youth but one who was craving for love in self oriented world what the 90's was. His real life is also inspiring. When in Bollywood relationship changes like clothes he remained loyal to single woman throughout his life, there were speculations sometimes but he came out unscratched. How he conduct himself publicly is an example for many aspiring actors.Those actors who becomes arrogant with just one or two hits should learn from his modesty. His leadership skills are beyond any doubts which make his each venture successful, he is working with a same team for years which shows how dependable he is. Shahrukh Khan was the first person who taught marketing skills to the film industry. He is hard working,a good husband, a caring father,a complete entertainer,an amazing speaker,a trustworthy friend,a self made man and truly a good human being. What else you demand from someone to be a role model?